A creative way to master the basics. Colour, count and smile. Do you want to learn first letters and numbers? What about playing with stickers, colouring pictures and meeting lots of cuddly animal friends? If that’s a YES, you’re in the right place! These lovely first learning books let you do all those wonderful things. First you’ll solve simple counting puzzles by sticking in over 150 number stickers. 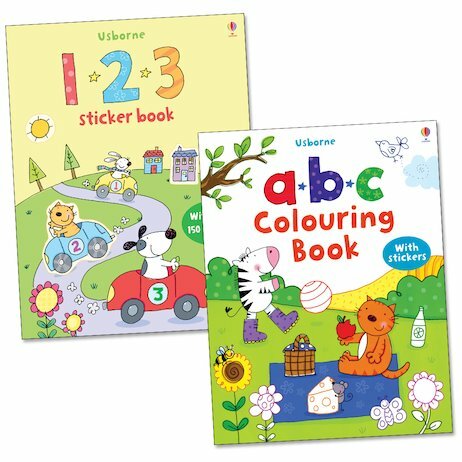 Then learn the ABC by colouring in pictures while adding bright stickers and alphabet letters.